The world of consumer brands is going through a time of change that is opening the door for private label brands to recognize advantages they never had before. As consumers look beyond price to branding and packaging as markers of quality, private label brands emerge as a viable option. Firsd Tea spoke with Meghan Labot of MR LABOT. MR LABOT is a brand strategy and design consultancy established to help build and grow consumer brands. 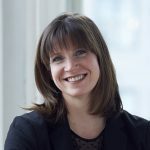 Meghan has helped consumer brands navigate change and maintain a competitive advantage through thoughtful and actionable strategy and design. Her perspective on how culture and consumer behavior can impact brand success has been featured in publications such as AdWeek, Brand Packaging, and The Dieline, as well as NPR Marketplace. In 2018, she was named to GDUSA’s 2018 People to Watch list. For more information please contact Meghan Labot at meghan@MRLABOT.com or 917-941-7609. 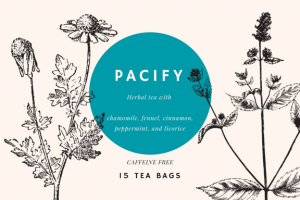 Firsd Tea: What is the first thing to keep in mind about building a private label brand? Meghan: Consumers do not fall in love with products, they fall in love with brands. “Brand” is a tangible expression of the intangible characteristics that consumers find attractive and keeps them coming back again and again. Brand ties together a product, with personality and purpose to create a unique experience that creates loyalty. Firsd Tea: You mention personality, purpose and product aspect of a brand. What do those characteristics involve? Meghan: If the brand were a Person, what would they be like? What are the personality and character traits that make sense for the brand? Based on that personality, how should the brand act and behave? For Purpose, consider the motivation behind the brand. What role does this new brand play in the larger portfolio of the retail brand? When considering the Product, ask yourself: What is the product assortment that the brand will offer? And what characteristics can be gleaned from the curation of the assortment? As new decisions are made, the Three P’s should be referenced to help ensure the brand remains authentic and consistent. 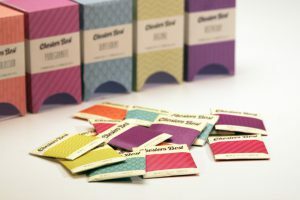 Firsd Tea: What role does packaging play in developing and expressing a brand? Meghan: Packaging design has evolved to be one of the most powerful tools in a brand’s arsenal. Packaging creates an experience for the consumer that brings to life the brand beyond the product. All aspects of the packaging design must work in harmony to create a compelling experience of the brand. This includes both the structure the product is housed in, and the label graphics which communicate the brand to the consumer. When making decisions about packaging design, the Three P’s should continue to be used as a reference point. 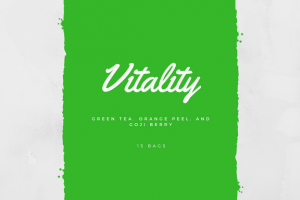 Firsd Tea: What are some of the major elements to consider in packaging? Meghan: Think carefully about structure and graphics. Choose a structure that serves a functional purpose and creates the right emotional connection with the consumer. Materials used, package shape and other structural elements reveal brand personality and tell the brand’s story. Packaging graphics are a critical component to building a strong private label brand, as more consumers look to the physical presentation of a product to determine its value. The packaging design needs to be a clear expression of the brand personality and purpose, while at the same time clearly communicating what the product is. Similar to packaging structure, packaging graphics must balance the functional communication needs that help a consumer navigate the store shelf with the emotional communication that creates a memorable experience. With both structure and graphics, it is important to factor understand the practical/functional and emotional/experiential impact that structure and graphics create. 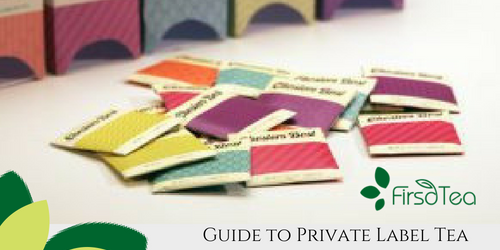 Private Label brands present retailers with many opportunities to drive both foot traffic and sales. The bar has been raised on what consumers expect from private label brands, making it important for retailers to take a comprehensive approach to their private label program. Investing in a clear and simple strategy that defines the Three P’s of product, personality and purpose, and expressing that strategy through well-designed packaging is a great first step.